You know we have a stone bench at the cemetery instead of a headstone. When we made that decision it was out of protest because I felt outraged that my child would ever need a headstone, but also because I wanted to create a space where people could stop and sit for a while and think about Jack. We don't go there very often. I've heard from folks who do go to Jack's bench for us, and we are grateful for that. Yesterday I was meeting a friend at a Starbucks almost directly across from the cemetery. If that seems weird, I'll remind you that there's a lot of weird in our lives: at least 6 car trips a day over the spot where Jack's body was found, Bible study once a week in our old neighborhood, and many, many other oddities about staying here in the town where our greatest joys and sorrows are intermingled. Today, for instance, traffic was stopped on the road while a work crew cut down trees that were encroaching on power lines. My car was stopped right next to the cross that marks where Jack's body was found. I was sitting there, listening to music and telling Jack I love him, when I got a text from a friend. She was directly behind me, stopped also, and the situation was not lost on her. Not lost on me was that if those trees had been cut 4 years ago, we would not have lost power and things might have ended differently for Jack. In today's moment of loss, love, communion, and the mystery of God's ways, was a text from someone who cared enough to acknowledge that ordinary/extraordinary moment. Okay, that was quite a digression. Let's get back to Starbucks. So yesterday I waited at Starbucks for a sweet friend who didn't show up because she got the date confused. Long holiday weekends will do that to you. With extra time on my hands, I thought, "Well, I guess I could go the cemetery and sit on Jack's bench since it's right over there." So I did. Nothing dramatic happened, but it was a simple, quiet moment in my day. Later, my friend and I decided to reschedule for this afternoon, but when I got to Starbucks, I heard from her that she was not able to make it. She really had tried to stop me, but an earlier text hadn't gone through. I laughed to be in sitting in the same Starbucks two days in a row. "Well, okay," I thought, "maybe I should give the cemetery another shot." I drove the few feet down the busy road and parked, telling myself to keep my heart open for whatever the experience would be. There was another car on the gravel path near Jack's bench, with two people tending a grave nearby. I thought maybe I was there to reach out to them with a smile or encouragement. I mean, I hadn't been there in more than a year, yet there I was, two days in row and there were people not 5 feet away from where I was going. Please tell me I'm not the only one who enters random situations looking for how I can be of help. I sure hope it's more a case of trying to stay open to the nudge of the Holy Spirit than of thinking I'm God's gift to the world. Ack. So, I smiled and said hi and, noticing the dates, asked the older lady if the grave was for her son. She nodded. I pointed to Jack's bench and said, "Mine's over there," but there was no recognition from her. Her son's gravestone was inscribed in Spanish, so I guessed she didn't understand what I was trying to say. I went over and sat on Jack's bench. It didn't feel any different from the day before, but I did note that I couldn't get on my computer, or busy myself with other distractions like laundry and dog pee, which was good. Soon, smoke was wafting over to me. Ugh. The man who came with the old woman was smoking a cigarette. The sun beat down, and the granite bench was hot. I didn't have some lovely, spiritual experience, and I probably lasted all of five minutes. But I came away with the understanding that this place could be a place for me to sit and pray, not just a place for others. "You leave so soon?" smoking man asked as I walked toward him, giving me the impression that their visits were more frequent and of longer duration than mine. I stopped to talk, and found out his brother was the one buried there. He had died of a heart attack at 35, leaving behind four children. The man asked about Jack, and I told him. I told him my mother was buried next to Jack's bench. "You okay?" he asked, in heavily accented English. I nodded. "But you okay?" he asked again. "Yes, yes, I'm okay," I answered with a smile. Because of the context of this conversation, I knew this wasn't the quick, "How are you?" "I'm fine," of so many conversations. This was a man who had lost a brother, who drove his mother to the cemetery often. Whose nieces and nephews, age 10-16, were fatherless. He knew that okay can mean different things. I'm okay being here today, even though I don't come often. I am okay learning the rhythm of a different family life. The anger and despair have abated. I experience joy and laughter every single day. I can see beyond my own family's problems and pain now, and it feels good to care for others. I am reminded again and again that LOVE DOESN'T DIE. Nope. Yeah, life is far from perfect, but I'm okay today. I don't know if I went to the cemetery for Jack, for me, for that mom, or for her son, but I'm guessing I'll go back sooner rather than later and be open to whatever the experience is like. I also realized I want to plant a big 'ole tree there. If mama's going to hang out on the bench every once and a while, there might as well be a place to hang a birdhouse and get some much-needed shade. On Thursday I drove down and back to Richmond to receive an award at Full Circle Grief Center's Living your Dash Luncheon. It was lovely, and every time I learn more about what Full Circle does to help hurting families, I am so grateful! The concept for the luncheon was to recognize that we all have a birth date and a death date. 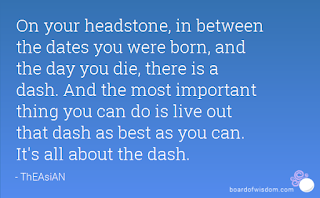 And while the dash-- the years lived in between the two-- could vary from just a few hours to many years, WE choose what to make of the dash. It reminded me so much of a special post about Jack when he played MacBeth in his 6th grade play. Some days I am not so sure I'm using my dash wisely. I've already lived 33 more years than Jack got to, and next year I'll age past my mother, who died at 46. 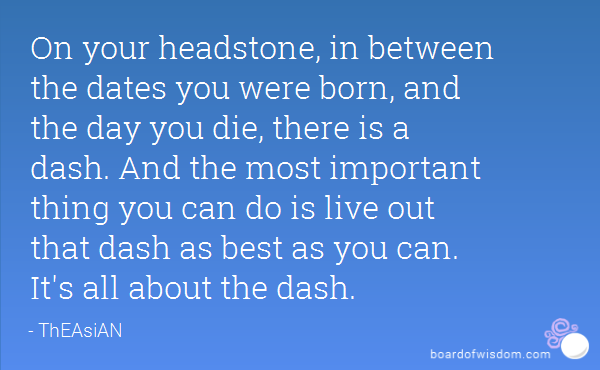 I know my days are already numbered in God's book, and this invites me to consider what my dash looks like. Honestly, most days I am content to putz around the house, doing a little of this and that, speaking to no one, and thinking about what I want eat next. But there is an ever-present, quiet tug pointing me beyond the mundane toward greater meaning. What could that look like? I know I want to help others. I want to use my stories, not just the ones about Jack, but whatever stories I may have, to somehow touch others and intersect with their own. For now that means writing and speaking, sharing Rare Bird, being a real, flawed, flesh and bone example of survival, and learning how to be a better listener. A listener of the sacred stories people bring to me through this blog and in person, a listener to the gentle tug of God that leads me outside my cozy, insular self and points me toward others, and a listener to the reassuring whisper of a son who says, "I may not be at your dinner table, but I'll be your partner in whatever you do." You may be wondering how we are adjusting to having a puppy. So far, so good. Charlie is a doll and Shadow is a good model for him. I do have a confession for you. I'm not doing so great with the potty training. I bought little bells for Charlie to step on and ring when he wants to go out, but he is fond of carrying them to his (Shadow's) dog bed and chewing on them. Ding. Ding. Ding. Because we spend most of our time holed up in the kitchen, hemmed in on both sides by baby gates, we don't have too many accidents during the day, and he does very well in the crate when I'm out running errands. This puppy loves his water almost as much as he obsesses about food, and a few times a day he's particularly prolific in the pee department: 5-8 pm, and 6:30-8:30 am. While a baby might have witching hours, this puppy has PEEING HOURS. I tell you this because I have a confession to make. It's a well established fact that I'm not a morning person. What I haven't told you is that for the past year and a half, Tim and Margaret have gotten up and out of the house without my seeing them. Yep! I am not down in the kitchen in my ruffly apron giving kisses, flipping pancakes, and lovingly handing out sack lunches. I'm upstairs asleep. A few weeks into Margaret's 7th grade year, I was suffering from shingles and needed to rest. Eventually, I got better, but we realized that the mornings went more smoothly without my being involved in the equation at all. Running late? Clothing woes? Not my problem. After so many years of waking up early and being in charge of getting everyone up and out, this schedule is a GIFT. I was worried that having the puppy would mess with our little morning routine, but it hasn't. Tim gets up with the dogs. When he and Margaret leave, they shut them back in the bedroom with me while I sleep. The thing is, pretty much every day, in the 7:30-8 am range, Charlie pees in the bedroom. We have a pee pad there, even though we know it isn't something we want to encourage forever. I've removed the pad, but then he pees on the hardwood floor. Given the choice between living in a pee palace and waking up early, I'd choose pee every single time. Ok, I'm glad I got that off my chest. Fellow night owls, what would YOU BE WILLING TO DO to get a little extra sleep in the morning? I lost a beautiful friend to sudden death exactly one year ago. We had known each other over a dozen years. She had an epic laugh. Living across town from each other, we didn't see each other all that often, except for a smile from one balcony seat to another across our large church on Sundays. After Jack died, I didn't hear much from her. I assumed that she, like others, had to do the hard work of trying to process a mother's nightmare come to life on her own time, in her own way. The night we found out she died, so sudden and shocking, I got into my car and drove through the rain and darkness across town. I wanted to show up. Not because we had been that close in the past few years-- she had far better friends who would step in to take care of so many needs-- but because I had learned something about being there from the ones who drove through rain on another dark night for my family. I fought back feelings of, "You don't belong here," and pushed onward, in case my presence could do or mean anything at all. A week or so later, my friend's precious daughter came to stay with us for a month to finish out the school year. I, too, knew the shock of losing a mom suddenly. The incredulity that the soft curves and the lap and the hair I knew as well as my own were no longer available to me in the way I wanted and needed, especially as a teenager finding her way in the world. I don't know if I helped this sweet girl, a beautiful mix of sensitivity and strength, maturity and tenderness, but I know I was blessed by her presence. We talked about books we were reading. The pain of losing a mom. 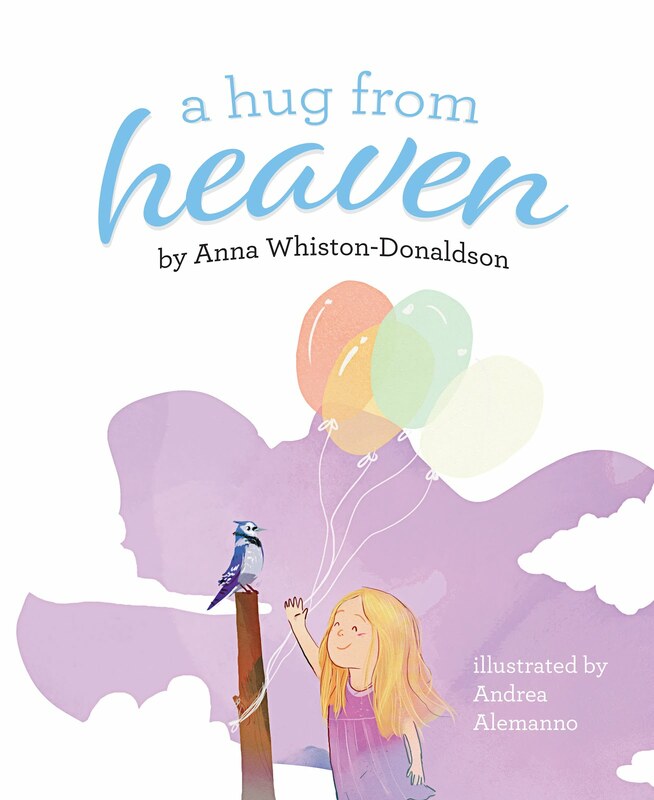 I hoped that she could see that early mother loss does not have to mean a bad life, even as I worried that I was not the best poster child for the good life. I just hoped my hugs, a very poor substitute for the genuine article, could substitute somewhat for a mama's hug. It's a hard road to walk without a mom by your side, and your mom was one of a kind! She understood you better than anyone except for God, and her love for you ran deep. You were her delight and her pride. She prayed for you, cheered you on, and cherished you. Wait! Why am I writing this in past tense? If I have learned anything from losing my mom and Jack, it's that the love you share is not dead. It did not die with your mom. That understanding and being known are still there too; in fact, she can now know those parts of you that were unspoken between you while she lived. You can continue to cherish, experience, and work through your relationship with you here and her "there" by telling her how you feel, and by keeping your heart open and soft, even though it hurts. I'm guessing you are wondering if having her with you on earth for 14 short years is enough for her to "stick." I worried about this with my mom, too. But when I make someone laugh or help them feel good, that's my mom's influence coming through. When I share my mess with someone else? Mom. When you bake a pie, hug your future child tightly, or start some crazy big project involving fancy paper and tulle, that will be your mom. When your eyes light up with great big plans? What about when you buy a friend a thoughtful gift because it is just the thing to cheer her up? Yeah, your mom. I know "there" seems so very far away, especially when you're such a hugger. I'd love to ask your mom if you were a cuddle-bug as a baby, because I'm guessing the answer is yes! You are the best hugger I know. 14 years were not enough, L.
You wanted more. You want more. But in this, I promise, fourteen years were more than enough to make her STICK. I feel like I'm back in preschool. No, not because someone in my house has questionable potty skills, although one CERTAINLY DOES, but because I'm seeing life again in small windows of time. 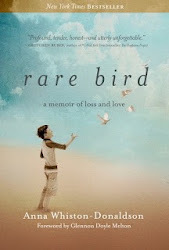 After I quit my job at the bookstore to focus on writing and then promoting Rare Bird, I was home all day. This suited my pokey disposition. A little laundry here, a lot of Facebook there. Household chores that would have taken me no time at all when I was busier, stretched to fill the time, especially when procrastination and writer's block set in. Before I knew it, Margaret would be home from school and I may or may not have accomplished what I'd planned for the day. Certainly no exercise occurred. Now, with King Charlie of Tiny Bladder-Ville, I am thinking more like a preschool mom. Instead of a wide-open day, I have small chunks of time. You know, when the clock of freedom starts ticking as soon as you drop your beloved at the preschool door? Any leg clinging, while endearing, cuts into your time, so you peel those fingers from around your doughy thighs as lovingly as possible and hightail it to the car. At best you have a 3 hour window several times a week, and if anyone has been sick or there have been weather incidents of late, you may have seen the window slam shut more often than not and desperation has set in. Three hours is an errands and coffee date OR gym kind of window, but not all three. Then there's the waiting in the Costco parking lot because for some crazy reason it doesn't open until 10, which is rather cruel when pickup is at twelve and you've been up since 6 am. Not that a bunch of bra 2-packs, jumbo boxes of wipes, or bags of potstickers can't soothe your irritation. Besides, if you have a younger child in tow, the Costco parking lot is a great place to nurse a baby. Just don't hit Margaret's the baby's head on the steering wheel while doing it. With a new puppy at home, I haven't quite worked up to a 3 hour window of freedom yet. We are home all day together and Charlie LOVES hanging with Shadow and going in and out and in and out. Yesterday I put him his crate for 2 hours and he did fine. Whew! On today's list: lunch with a friend, swapping cars with Tim, and a drug-store run for Margaret. She has given me a detailed list of items, which I am sure to mess up. I'd also like to take more donations to the thrift store. We'll see how much I get done. Maybe having smaller windows of time again will get me moving faster and "up" my productivity in life and in writing. I just wish it could be done with a bit less pee on the floor. Today I'd like to welcome back Noelle Juday. Like me, Noelle believes in the beauty and power in sharing our stories. Noelle blogs regularly at NBrynn, where you will find everything from her daughter's gorgeous ballerina birthday party to insight about marriage, parenting, and orphan care. 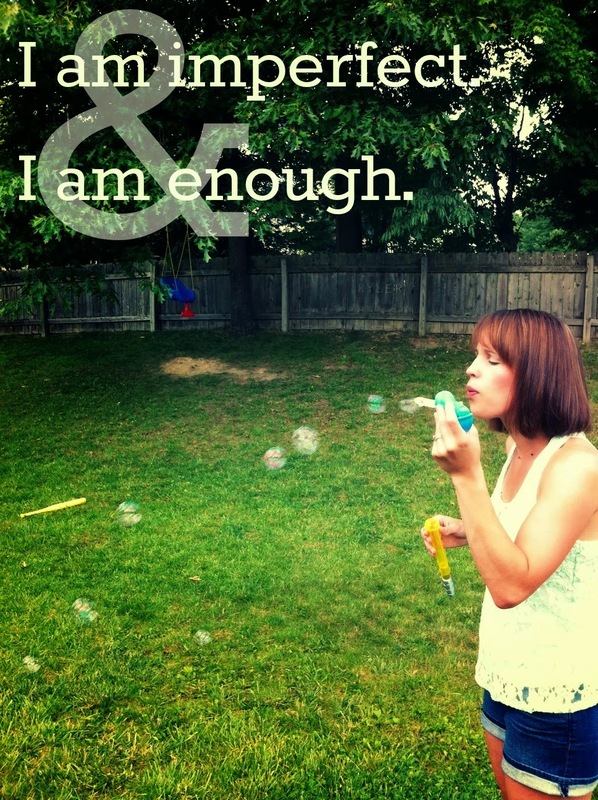 Please welcome Noelle as she shares more of her story with us today. Sometimes I'm amazed at how much I enjoy nature, at how much life it gives to us. Now that I'm a stay-at-home mom, I have the luxury of getting to indulge my desire to be outside, much more than when I was stuck in a cubicle eight or so hours a day (sorry, office workers). And thankfully this feels like a luxury, because for my kids, it's a necessity. There is a very obvious change in their behavior if they don't get to play outside. They are grumpy, much harder at hearing, whiny and unhappy. We all suffer. 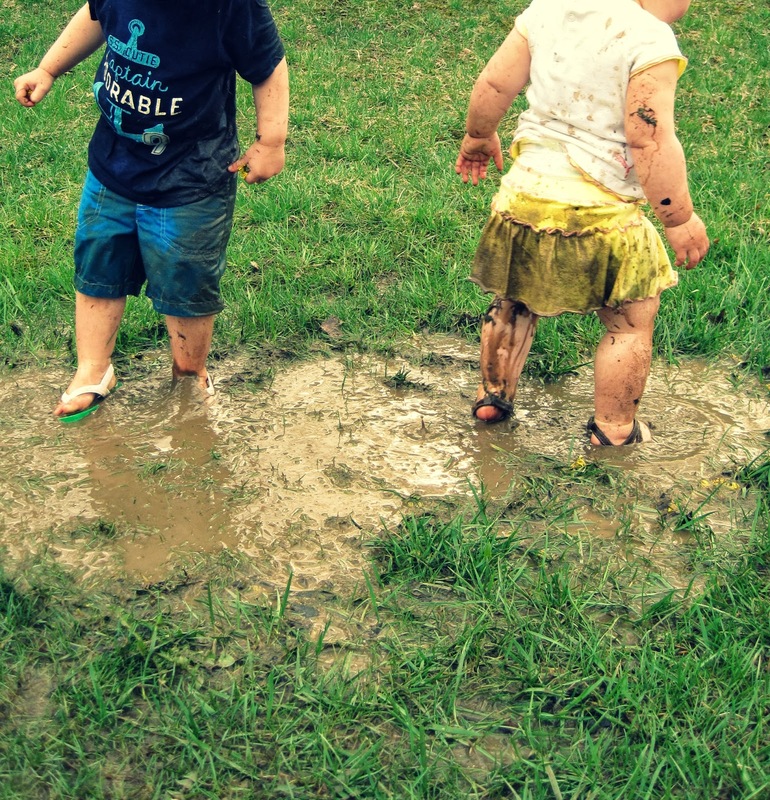 That's why I've been known to throw on rain boots or flip flops and let the kids stomp around in the muddy crevices in our backyard, or bundle them up and head to a park even though the slides are still covered in dew (or snow!). 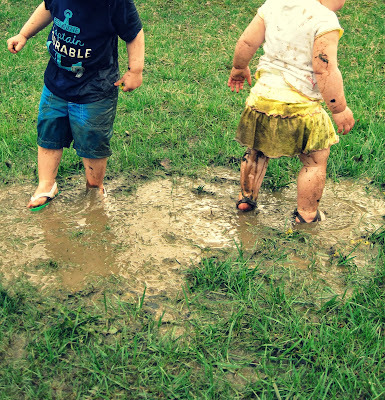 I learned very early on in my parenting career that muddy boots and piles of laundry were a very fair trade-off for an hour of joyful, refreshing outdoor play. And so outside we dash, because we all need the fresh air. We need the open space. We NEED the outdoors. I know this about my family and I. Another thing I know about myself: Learning to be mindful and present, to keep my heart connected throughout the mundane moments of every day comes about as naturally to me as opera singing, that is to say, not at all. I am much more natural at flurrying and scurrying, at running here and there, checking this and that, doing, doing, done. I often feel like I am barely keeping up with the necessary logistics of raising two toddlers, maintaining a home and running a small business. My own soul all too often finds a spot last on the endless to-do lists, absurdly appearing in the form of, "Call a friend just to say Hi" and "Read for 30 minutes during nap," since otherwise I wouldn't feel justified in doing those things at all. Many times I cannot seem to slow the wheels or speed them up or whichever it is that's keeping me from having clear, heart thoughts when I want to. From feeling rested and present. And I'm desperate for those quiet moments; those rare chances to connect with myself and God, to refocus my days as needed. 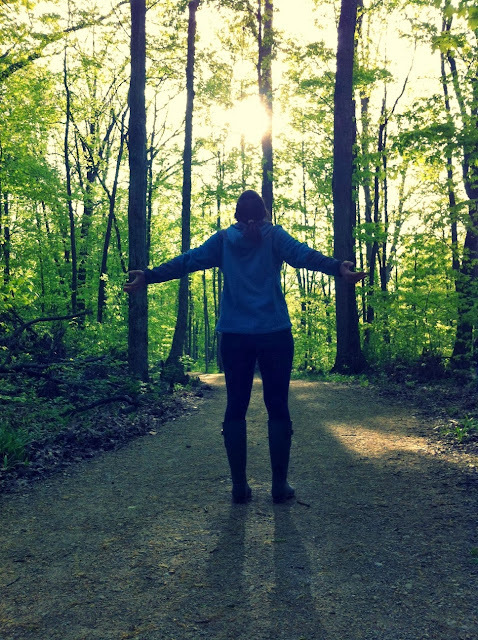 What would it look like for my soul to get that fresh air, open space, outdoor experience that my body so thrives on? And I answer inwardly, Time. Time alone. Time with no demands. Surely time would help. Maybe new input…new books, new music, good art, good conversation. Ah, yes, good conversation with a soul-to-soul sort of friend. These thoughts are fresh are in my mind as I remember the day last summer when the kids and I dashed outdoors again, this time heading straight for our favoriting digging post. My 18-month-old daughter and I sit in a pile of dirt and slowly explore to our hearts' content, while my almost three-year-old son runs around kicking his ball, stopping by every now and then to see if we have found anything worth seeing. We usually end up with a few "neat" rocks, an ant or two and always a worm. The worms are our favorite! In my experience, earthworms are usually pretty calm creatures, especially once they've been unearthed and removed from their moist, dark homes underground. They tend to more or less lay, flinching here and there as prodded by a blade of grass or a stick. This day, however, we found a wild one. This was no ordinary worm. He was small (a "tiny baby" as my daughter calls everything under the age of 10!) and he was non-stop motion. We must have taken turns holding him, laying him on the ground and carrying him around on our shovels for a good twenty minutes. He squirmed the entire time. We tried laying dirt back on top of him to see if that would calm him down. Squirm, writhe, thrash. My son found a second worm - a cool, calm and collected worm - and suggested we lay them together so that the wild worm would have a friend. Squirm, writhe, thrash. Finally it hit me. After watching this silly, squirming worm for so long, I am suddenly aware of the moment in a deeper way and connected to my heart. My crazy, writhing, squirming, thrashing self catches up with the present moment and I have this clear thought: I am just like this worm! Constant motion with no lasting calm. Spinning my wheels, going, going, going - working so hard, for what? Flurrying and scurrying until life starts to feel like such a struggle, like an endless battle for survival and connection and rest. Kicking and flailing around like this crazy worm, all the while missing so many of the lifelines available at any given time. At first I'm crushed. Then the compassionate side of myself reminds me that for years now I have stopped so much of the spinning. I have learned and lived the truth that increased activity will not lead to increased happiness or wholeness or any such thing. Years back, when I first recognized the squirming and writhing nature in myself, and saw how it defined everything from my figure to my faith, I knew something had to change. For this reason and others, I left a leadership position at a church I had spent a decade at, and spread my wings out with all the hard questions I had never allowed myself to air before. I honored my instincts and for once in my life stopped following all the rules and doing "all the right things," and instead started listening to my heart. At the time, I was so tired, so confused, so disillusioned by all the striving and spinning that had defined much of my religious faith up to that point. I desperately needed some fresh air - a place for my soul to breathe. I needed open space and room to squirm or to question or to just lay still for a while. I really needed a good friend, too. But here's the crazy thing about giving up an addiction - in my case an addiction to religious activity and to people-pleasing: The place where that addiction once lived, now stands a hole, a wound, an empty space longing to be filled. So, as I watched that worm, I knew that even as my soul has calmed and quieted in ways in the past few years that it longed for, it yells and squirms and writhes still in other ways. All that religious activity was filling a hole and then there was just a hole. And a worm. Squirm, writhe, thrash. I wrestled with this claim all Fall, rolled it over and over on my tongue, wrote it on the wall and on sticky notes and on my hand. Finally, I started to really see it. To really believe it. And as I did, I knew that this had been the missing piece all along, the soil that was needed to fill my heart-hole. 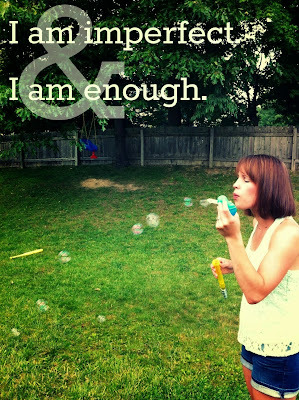 Today, still, I am letting this truth sink in. I am re-believing it everyday, usually many times a day. Somedays I find I can walk in it fully, but most days I do more of a tumble-spin-splat waltzing sort of dance with it. It's a work in progress. As am I.
I recently spoke to one of my friends about decluttering our closets. I do a pretty good job of asking myself if I've worn something in the last two years and giving it the heave-ho if not. I keep a bin in my closet and one in my mudroom of clothes to donate to a local charity. This keeps me from becoming a clutter-bug. My friend had recently tried Marie Kondo's brand of de-cluttering, that takes it much further than that. Have you heard of her book, The Life Changing Magic of Tidying Up? It is a #1 NYT Bestseller and has sold about a zillion more copies than mine has. Although I haven't read it yet myself, I have heard about how it challenges you to think about the purpose of each item and also consider whether it brings you joy. It is ruthless and NO ITEM escapes judgment. I have a lot of disjointed pieces that don't flatter my figure since I've gained a little weight. I have items that look great but do not feel great, such as fitted dress shirts that nip me in at the waist but leave me tugging them down a lot, and shoes that I've only worn once because-- ouch. I have many "bargains" from the thrift store that I bought because of their great prices more than for whether they were good colors or cuts for me. When I bought a shirt last week that was identical to one I'd recently donated, I had to ask myself whether my bargain shopping was really that effective. I gave myself a rubbermaid tub to store sentimental favorites and moved the rest of the discards to garbage bags in the guest room. It seems that JOY might be too strong a criterion, because if I only kept items that "spark joy" my closet would be empty except for the "P is for POOP" t-shirt that Margaret and Tim inexplicably bought for me our first Christmas without Jack and my well-loved pjs and bathrobes. I changed the criteria to clothes that don't annoy me or perhaps even spark mild contentment. This left me with a few items in each category. I remember two particular roommates I had, Katie and Beverly. Each had a very tidy closet with a few well-made pieces of clothing in it, while my other roommates and I had closets jammed with clothes for every occasion and eventuality. Floral dresses? Business suits? Workout Wear? Ripped Jeans? Costumes for parties? We had it all. I admired Katie and Beverly's restraint and noted they always looked put together. I would like to be more like that, even if it means wearing just a few items on repeat. Of course, it will also mean I have finally turned into my mother. She wore the same clothes a lot, but looked good doing it. Turns out she was pretty cutting edge because a lot of female professionals are now toying with the idea of adopting a uniform of sorts. I'm not sure how my experiment will go. I felt wasteful taking out so many unworn items, but at least if I donate them, someone else can use them. In my closet they sat unworn. I want to learn from my mistakes and question why I buy clothes that don't look great or that I don't really like. Is it boredom? Is it a desire for something new? I also want to think more about what colors flatter me (burgundy, pink, blue, green) and try to come up with a few good summer looks that can withstand the VA heat and humidity. I also want to continue to enjoy my local thrift shop, a place that does spark joy for me, without bringing home more duds. Especially ones that I've just donated. What about you? Is your closet cluttered or stream-lined? The weekend retreat was AMAZING, and having a little break from Puppy-dom was pretty great, too. I wrote about my thoughts on Mother's Day for Wake Forest Magazine today. Tim and I met at Wake Forest, so it was so neat to be invited to write for them. I hope you'll head over there and read the article. Mother's Day can be a day of complicated feelings for many, and I want to honor wherever YOU are in this week leading up to Mother's Day. On Thursday, I'll be speaking at St. John's Episcopal Church in Roanoke, VA on Embracing the Mystery of God in Difficult Times. It's a free event from 6:30-8:30 and I'd love to have you there! p.s. Any great podcasts I should listen to during the drive? I've already listened to Serial.